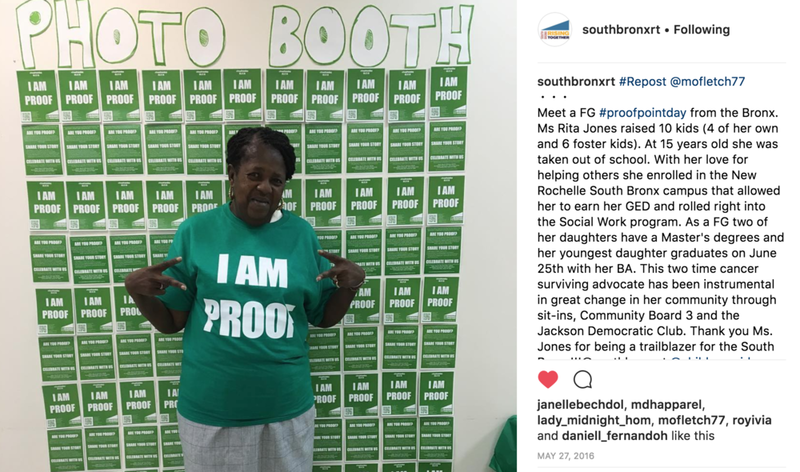 I served as the co-chair for the Proof Point Day initiative in the South Bronx. As part of Collaborative Action Network 5 to ensure that all students graduate with a post-secondary pathway. We partnered with Proof Point Day founder, Chastity Lord, and community leaders like Assemblyman Michael Blake, to show future first-generation college goers from the South Bronx that there is a thriving community of first-gen college grads supporting their journey. Our capstone celebration was kicked off by Abe Fernandez, one of the directors of South Bronx Rising Together. As the campaign co-chair, I led our team to build our communications toolkit with customized messaging to collect as many first-gen stories as possible. We created a premium glossy-print flyer that was distributed to 100 schools and CBOs across the South Bronx, along with an interview MadLib that high school juniors and seniors used to interview adults who are first-gen college grads.